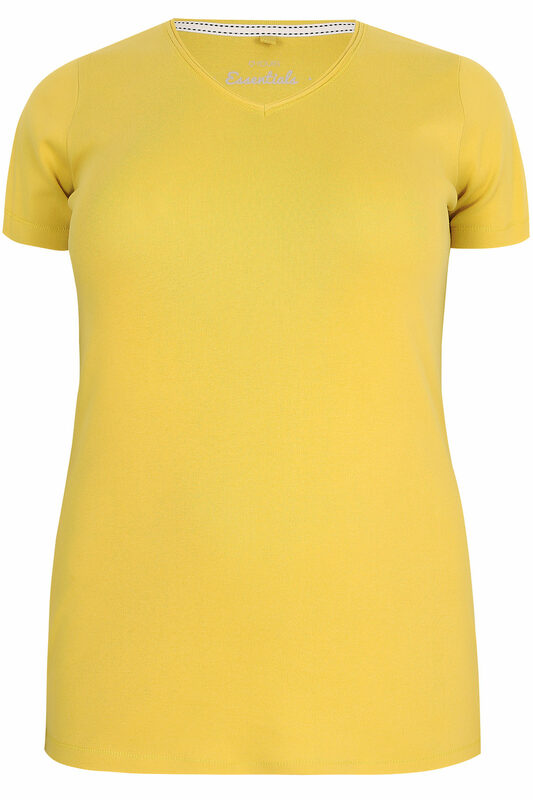 Plus size yellow basic t-shirt with short sleeves and v-neckline. 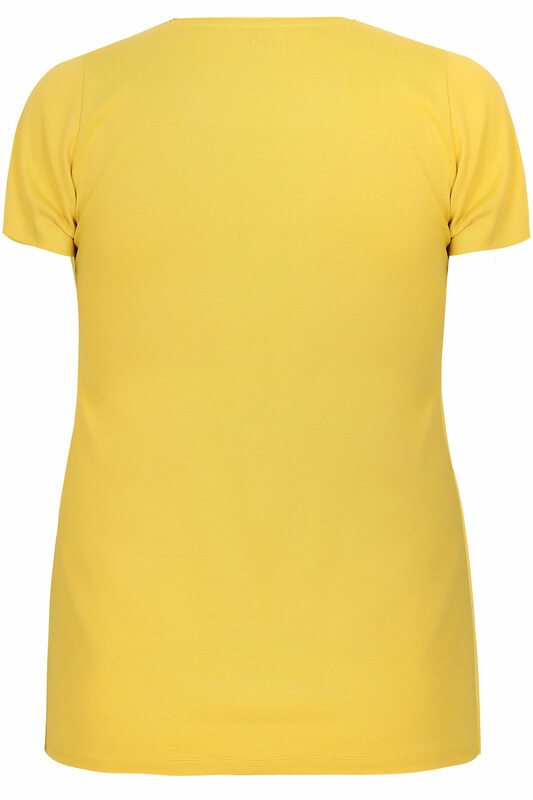 Made from a 100% cotton jersey fabric for extra comfort. Style with jeans and pumps for a stylish casual look.